In the basement of the new USGS Data Center Laboratory in Pasadena, California, Dr. Greg Foreman notes some odd results of minor quakes that occurred overnight. Unable to immediately discuss the abnormalities with his mentor, he puts his misgivings aside and begins his Tuesday morning. Miner Carl Ã¢â‚¬Å“BearÃ¢â‚¬Â Barinovich discovers a fabulous gold mine high in the Sierras above Death Valley and canÃ¢â‚¬â„¢t believe his luck while likewise, in Newport Beach, movie producer Ken Whitlock anticipates a visit by Magda Fabin, a Hungarian movie starlet. Ken has his housekeeper prepare hors dÃ¢â‚¬â„¢oeuvres and chill champagne, knowing what it means if Magda arrives without her agent. Pete Madison and his daughter Darcy survive a killer wave on Lake Mead while Hoover DamÃ¢â‚¬â„¢s manager, Harry Forbes, experiences the unprecedented earthquake that causes considerable damage to the canyon walls and the damÃ¢â‚¬â„¢s approach roads. Minutes later and more than two-hundred miles south of the dam, a group of Mexican nationals lose one of their members while crossing the Rio Colorado due to another strong earthquake centered near Yuma, Arizona. Jeremy Woods, the editor of the Los Angeles Tribune, reads reports of the two major quakes along the Colorado River: Yuma is devastated with thousands of fatalities and one ridiculous report states that the river is flowing upstream. He scoffs at that but nevertheless realizes itÃ¢â‚¬â„¢s going to be a long day. Atop his mine, Ã¢â‚¬Å“BearÃ¢â‚¬Â experiences his first strong quake, one that seemingly wants to knock him off his mountaintop perch. He laughs as he rides it out and then finds a nugget large enough to retire on. 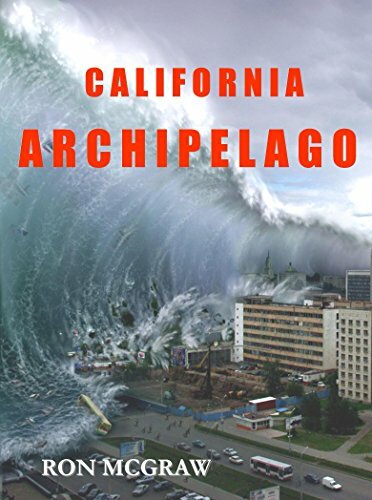 This is still early Tuesday, the first of eight days that are required to create the California Archipelago.